We received a nice loan mod today with a P&I payment of only $746. For our bartender client that is great news and very affordable! She had even had a loan mod previously but had lost her job and was unable to pay so Wells Fargo filed another foreclosure action after the last one was dismissed. We then delayed the foreclosure and kept re-applying after a denial for a loan mod as her income and expenses fluctuated. We never gave up. 25% of your gross income. You take the greater of #2 and #3 and compare it to #1 and take the lessor of the two. That would be the target payment. You also cannot have a front end debt to income ratio above 40%. So your housing costs would need to be less than 40% of your monthly gross income. For this client to qualify we suggested she take a couple extra shifts for a little additional income. 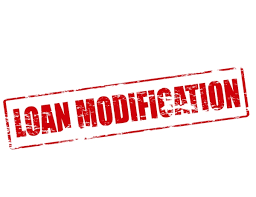 Loan mods involve many different factors. There are multiple programs, multiple loan types, the mortgage servicing department may have some specific rules and their investor may also have limitations. The interest rates vary as well as the term of the loan and any incentives to the borrower. In this instance, our client qualified for up to 10% off her principal balance if she maintained her payments in good standing for the first six years. So the moral of the story is if you want to keep your home, there is usually a way even if you’ve had a prior loan mod. Even if you’ve previously been denied. If you have questions about obtaining a loan mod, please feel free to contact Christie D. Arkovich, P.A.